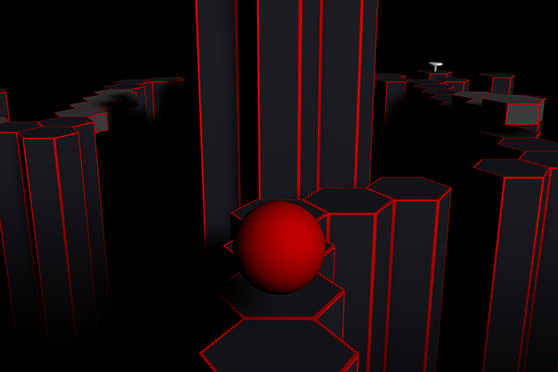 KGB is a puzzle/platform game which uses a physical interface to control the character, a bouncing ball. 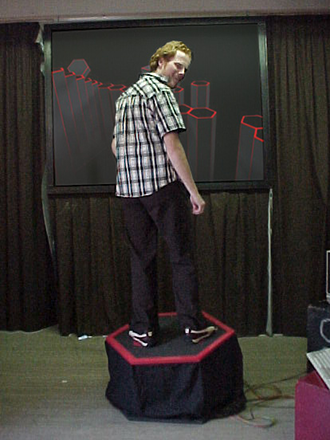 By jumping on the interface you move ahead, and tilting it to the left or right rotates your character to the left or right. 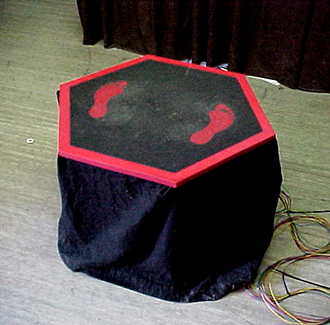 You could compare the concept of the interface with Nintendo Wii’s Balance Board, but only made years earlier (2001). KGB was a 2nd year project at the Utrecht school of the arts. Laurens Simonis programmed the game while I was responsible for the visuals and most of the concept.